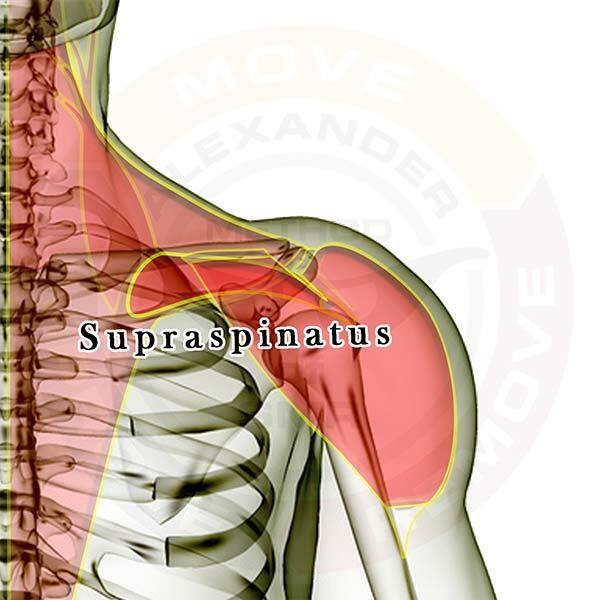 Pictured above is the supraspinatus. It is one of the rotator cuff muscles, and it secures the upper arm bone (humerus) against the shoulder blade (scapula) and raises the arm away from your side. Click here to see the rotator cuff muscles as a group.